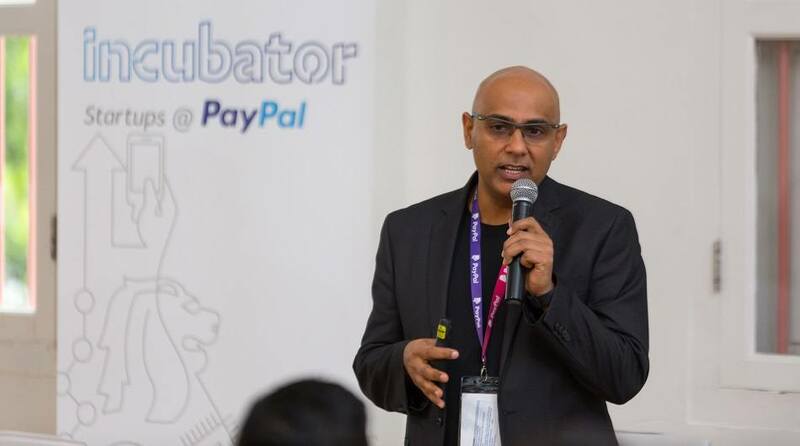 Anupam Pahuja, PayPal’s GM of APAC technology and country manager for India at the PayPal incubator demo day. Photo credit: PayPal. 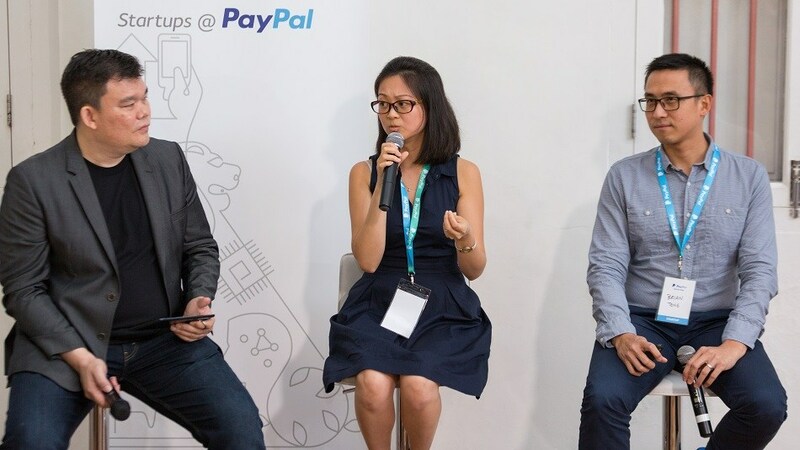 PayPal’s startup incubation program landed in Singapore last year and announced the three participating startups a little later. Now, after spending nine months at the international payment company’s Technology Center in Singapore (complete with bar and damned good coffee), they’ve hatched and are ready to take their next steps into the world. Startups that want to apply for the new batch can do so until March 17. Axinan co-founder Wei Zhu. Photo credit: PayPal. The name Axinan probably doesn’t ring too many bells, but the name of one of its founders just might. 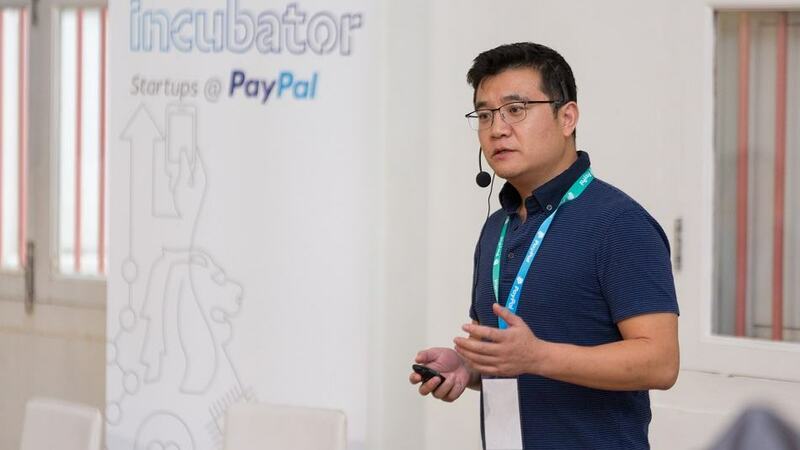 The startup is co-founded by Wei Zhu, better known as the former CTO of Grab and the engineer who created Facebook’s single sign-on extension, Facebook Connect. When first unveiled, Axinan was known as Prosecure. Its mission remains unchanged – to build digital insurance products. Its first product is free return shipping insurance for ecommerce companies. Axinan has partnered with online marketplace Tokopedia in Indonesia for its own free return shipping insurance program, which has signed up more than 4,000 merchants. Axinan says it processes over 180,000 orders every month. InvoiceInterchange co-founders Nalinee Chinowuthichai (middle) and Brian Teng (right). Photo credit: PayPal. InvoiceInterchange uses the concept of crowd-investing to help businesses with cash flow problems. Businesses can upload invoices to the startup’s website, where investors can pick them up in exchange for 85 percent of the invoice value. The business gets (most of) the money it’s owed, and the investors collect their money from the debtor. If the debtor is prompt, then investors release the remaining 15 percent to the business, minus fees. This way, small firms can be paid as early as 24 hours rather than wait weeks or even months for money they are owed. The startup uses its own data algorithms to assess creditworthiness for investors interested in being part of the platform. InvoiceInterchange is run by the husband-and-wife team of Brian Teng and Nalinee Chinowuthichai. It funded invoices worth US$8.5 million last year, up from US$283,000 in 2015. TenX CEO Toby Hoenisch. Photo credit: PayPal. 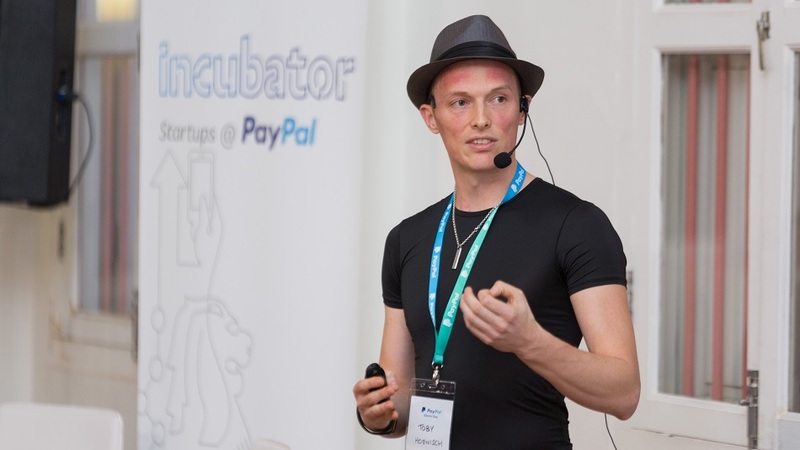 TenX was also rechristened during its stay in PayPal’s incubator. The company began as OnePay and was part of the first cohort of Startupbootcamp Fintech Singapore. TenX has built a protocol for the blockchain called COMIT (Cryptographically-secure Off-chain Multi-asset Instant Transaction). It is a network that connects different blockchains (such as Bitcoin and Ethereum) to allow transactions across all of them in a quick and secure way. The idea is similar to the internet connecting different intranets into one network. The team has built the system as open source to allow developers to create apps and services for it. It has already clinched 16 partnerships worldwide with the first product it launched, an e-wallet called Onebit. Onebit comes with its own debit card that allows users to pay at retail stores using assets from the wallet – bitcoin, for example. TenX provides liquidity to the network by working with partners who get a share of the revenue. CEO Toby Hoenisch hopes the protocol will give rise to an ecosystem of blockchain-based financial products that will work seamlessly with each other.